CURRENT POSITION: Chairman of the Board of Chase Pharmaceuticals; Partner, KM Pharmaceuticals Consulting (clients include Lundbeck). EDUCATION: MD and PhD in Neurosciences, Université de Tours, France; Residency in Neurology, Salpêtrière, Paris, France; post-doctoral fellowship at Johns Hopkins University School of Medicine, Department of Pharmacology and Experimental Therapeutics. HOBBIES: Reading, currently Walter Isaacson’s Steve Jobs. 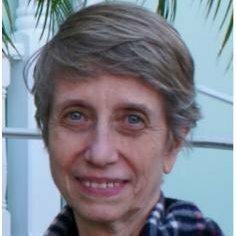 Dr. Kathleen Clarence-Smith has dedicated her career to developing novel pharmaceuticals and bringing them to market. As the founder and CEO of Prestwick Pharmaceuticals, she helped bring tetrabenazine, the first FDA approved treatment for HD, to the US. She has held senior positions in major pharmaceutical companies (Roche, Sanofi, and Otsuka) and authored over 100 peer-reviewed publications. Dr. Clarence-Smith discussed the history and future of HD therapies with HD Insights. The following is an edited transcript of the conversation. CLARENCE-SMITH: I read a Victorian novel when I was nine years old, the diary of somebody who knew that one of his parents had a disease that he would also have. The book ends with, “This is where I stop; I now have the shakes.” I thought it was a horrible disease, since you knew exactly what was going to happen to you, and then it happened. And of course, as I read the diary as a child, I kept hoping that it would turn out that he didn’t have the un-named disease. Much later, when I studied medicine, I realized that the disease I had read about in my childhood must have been HD. When I was 20, I knew a family who had HD, and was again confronted with the sadness and concerns about the children faced by families affected by this disease. I had absolute faith that biochemistry could find a drug that would stop or slow the disease. HD INSIGHTS: As founder and CEO of Prestwick Pharmaceuticals, you were instrumental in bringing tetrabenazine to market in the United States. Did you ever think that your interest in finding a biochemical treatment for HD would lead to an approved drug? CLARENCE-SMITH: No, I never thought of that in those days. I just knew that I wanted to find a cure, and I kept hoping that I would either read something in the literature which would point to the cure, or that I would be able to do real research into finding the cure. HD INSIGHTS: How did you become interested in tetrabenazine? CLARENCE-SMITH: I met Dr. Joseph Jankovic at a meeting, and he knew that I was working on trying to get drugs approved by the FDA. He wanted more than anything to see tetrabenazine approved in this country. I called the company who manufactured tetrabenazine in Europe and managed to convince them that it was possible to get this drug approved in the United States, and I was able to raise money to do it. HD INSIGHTS: What are the current limitations of tetrabenazine? CLARENCE-SMITH: It seems to only treat chorea, and clearly we also need treatments for the cognitive impairment and behavioral symptoms seen in HD. It remains to be seen whether we need three different treatments, or one yet-to-be-discovered therapy for all the disease symptoms. A lot more work needs to be done to understand the physiopathology of the cognitive impairment. For behavioral symptoms, I think that tetrabenazine has not been completely studied. I would have expected that a drug such as tetrabenazine that acts on the dopamine axis would also improve behavioral symptoms. Today, I’m leaning towards a need for three treatments, but sometimes you get surprised in drug discovery and development. HD INSIGHTS: Tetrabenazine is usually prescribed three times daily and has some side effects. 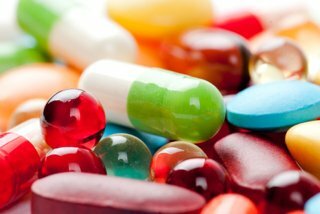 Are there ways that the drug can be improved? CLARENCE-SMITH: Yes. I am a consultant to Lundbeck, who markets the drug in the USA, and I have been examining this problem for the past two months. I think that some of the side effects are related to the very interesting pharmacokinetic profile of tetrabenazine. It has a very sharp peak, and a short half-life. Some of the side effects – sedation in particular – are likely linked to this sharp peak, so if it were possible to blunt the peak with a novel formulation, you might ameliorate some of the side effects. It would also be nice to extend the duration of action. If you look at the pharmacokinetics, patients are rapidly getting on, and then rapidly getting off.1 That fluctuation seems very uncomfortable for patients. A formulation that could both blunt the peak and prolong the duration of action would improve patient experiences with tetrabenazine. HD INSIGHTS: Do you have any advice for innovators who are looking to develop new pharmaceutical treatments for HD? studies? But if the animal model were to show that it only works if you give it early, then you do not want to enroll patients at an advanced stage in your trials because you will get a negative result. And it will be unfair to the patients – this drug could have worked if it had been studied properly. HD INSIGHTS: Dr. Clarence-Smith, thank you for bringing the first FDA-approved treatment for HD to market, and for your continued efforts in developing new therapeutics for HD and other conditions. 1 Kenney C, Hunter C, Davidson A, Jankovic J. Short-term effects of tetrabenazine on chorea associated with Huntington’s disease. Mov. Disord. 2007;22(1):10–13. doi: 10.1002/mds.21161. For more than a decade, the PREDICT-HD study has followed approximately 1,400 individuals around the world, including both premanifest carriers of the mutant Huntingtin allele and normal control individuals, in an attempt to identify the earliest signs of HD. PREDICT investigators at 28 sites obtain yearly MRI scans and cognitive, behavioral, and physical assessments. This enormous dataset has spurred researchers at the University of Iowa to develop novel algorithms and apply advanced computing techniques to the analysis of this imaging data. Dr. Hans Johnson, Director of the Image Processing Lab at Iowa Mental Health Clinical Research Center, is the chief technical officer for the study. Here, he describes some of the advanced computing techniques currently utilized to analyze thousands of MRIs to identify and characterize HD-related changes in the brain. The Scalable Informatics, Neuroimaging, Analysis, Processing and Software Engineering (SINAPSE) group focuses primarily on creating specialized software tools to efficiently process and analyze enormous quantities of neuroimaging data to accelerate brain research. SINAPSE has identified novel imaging markers of early HD using high-performance computing to analyze multi-modal brain scans.1 High performance computing refers to the use of supercomputers or computer clusters to solve advanced computation problems too complex for single workstations. Between November 2012 and March 2013, the group analyzed approximately 5,000 brain images from both control individuals and individuals with premanifest HD. More than 350 compute years (one compute year equals one computer running full-time for one year) were applied, producing more than 40 terabytes of intermediate data. 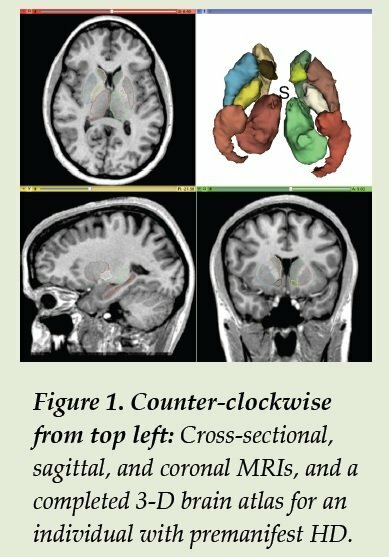 One analysis lead to the development of individualized brain atlases that depict brain structure and enable detailed analysis of changes over time (Figure 1). In another project, the group used high-performance computing resources with FreeSurfer, a software program that integrates hundreds of MRI images to create three-dimensional digital reconstructions of the brain, to separate white matter areas from the rest of the brain in over 200 MRI scans from individuals with premanifest HD.2 As large-scale, international observational studies continue to generate large amounts of imaging data, the ability to quickly and accurately process these data will become essential to timely analysis and reporting. Data from PREDICT continue to be cataloged and shared with HD clinicians and researchers worldwide, and can be combined with data from other HD studies to explore relationships between brain imaging markers and clinical, psychiatric, movement, mood, and genetic aspects of HD. (For a list of publications, visit PREDICT-HD Publications and Presentations.) Multiple avenues of exploration of HD progression have emerged from the imaging data, including white matter changes, grey matter loss, white matter tractography, default mode compensatory networks, and functional connectivity.2-5 In the future, these analyses may contribute to a more precise, objective measure of the progression of HD that could inform the design of clinical trials of novel therapeutic agents. HD Insights would like to thank Amanda Miller, LMSW, Jeffrey Long, PhD, and Dawei Liu, PhD, for their assistance in preparing this article. 1 Harrington D, Liu D, Smith M, et al. 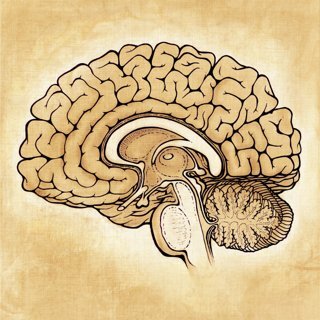 Neuroanatomical correlates of cognitive functioning in prodromal Huntington disease. Brain and Behavior. 2014 Jan; 4(1):29-40. 2 Nopoulos PC, Aylward EH, Ross CA, et al. PREDICT-HD Investigators Coordinators of Huntington Study Group (HSG) (2010). Cerebral cortex structure in prodromal Huntington disease. Neurobiol Dis. 2010 Dec;40(3):544-54. doi: 10.1016/j.nbd. 2010.07.014. Epub 2010 Aug 2. 3 Nopoulos P, Magnotta VA, Mikos A, et al. Morphology of the cerebral cortex in preclinical Huntington’s disease. Am J Psychiatry 2007;164(9):1428-34. doi:10.1176/appi.ajp. 2007.06081266 ! 4 Paulsen, Jane S. Functional imaging in Huntington’s disease. Exp Neurol. 2009 Apr;216(2):272-7. doi: 10.1016/j.expneurol. 2008.12.015. Epub 2009 Jan 3. 5 Aylward E, Liu D, Nopoulos P, et al. Striatal volume contributes to the prediction of onset of Huntington disease in incidence cases. Biol Psychiatry. 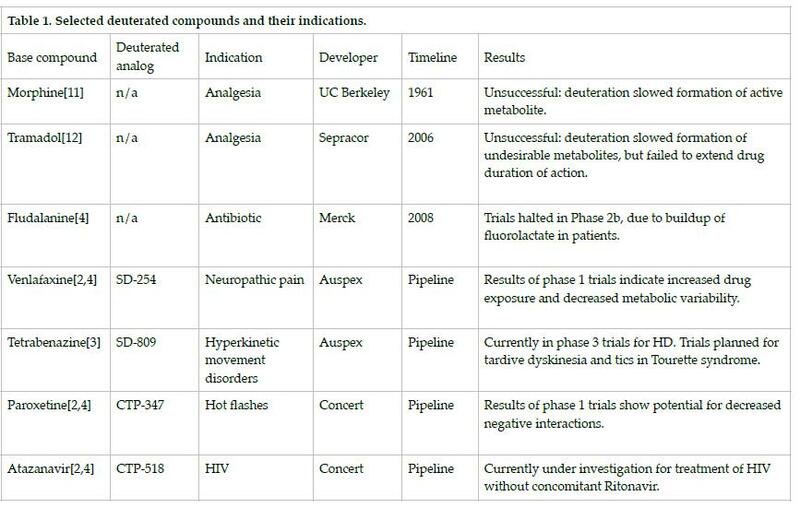 2012 May 1;71(9):822-8. doi: 10.1016/j.biopsych.2011.07.030. Epub 2011 Sep 9. 6 Killoran A, Biglan KM, Beal F, et al. The PREQUEL Multi-Center Phase II Study of Coenzyme Q10 in Pre-Manifest Huntington Disease. [abstract] 2013 Annual Meeting of the American Neurological Association. 2013 Oct. 13-15. Welcome to the latest edition of HD Insights, released at the 9th Annual CHDI Huntington’s Disease Therapeutics Conference. HD Insights brings you the latest in HD research, and we are grateful to the HSG, our sponsors, and our more than 1500 subscribers for their continuing support of this mission. Throughout this issue, we explore the past, present, and future of tetrabenazine, the first FDA-approved treatment for HD. We profile Dr. Kathleen Clarence-Smith, who championed the approval of tetrabenazine by the FDA. We explore Auspex Pharmaceuticals’ lead compound SD-809, a deuterated analogue of tetrabenazine currently in phase III clinical trials. Dr. Pratik Shah, CEO of Auspex, comments on the company’s current projects and describes his hopes for the future. And Dr. Lise Munsie brings you a round-up of current research in HD, including new insights into the mechanisms of tetrabenazine. Also in this issue, we are pleased to feature the highlights of 2013’s HSG Annual Meeting and Clinical Research Symposium, brought to you by Dr. Christina Vaughan. Dr. Hans Johnson describes the use of high-performance computing in the analysis of PREDICT-HD imaging data, and we examine the results of two recently completed randomized controlled drug trials in premanifest HD. 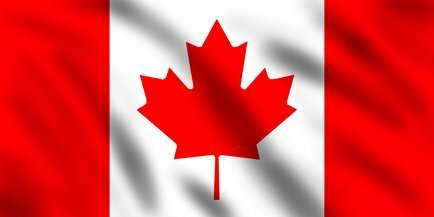 We continue to update you on the status of clinical trials, and to give you a glimpse into HD research in Canada. HD DISCLOSURES: DR .DORSEY RECEIVES GRANT SUPPORT FROM LUNDBECK AND PRANA BIOTECHNOLOGY AND CONSULTS FOR AMGEN, LUNDBECK, AND MEDTRONIC. For more information on HD Insights, or to receive a free subscription, please visit us at www.hdinsights.org or email us at editor@hdinsights.org . The exact molecular mechanism of the huntingtin (Htt) protein is largely unknown. A paper from Dr. Solomon Snyder’s lab at Johns Hopkins that probes the link between Htt and the striatal-specific protein Rhes was recently published in the Journal of Biological Chemistry.1 This paper implicates Rhes in mTOR-independent autophagy, and demonstrates that binding of mutant Htt (mHtt) with Rhes inhibits the autophagic function of Rhes in a PC12 cell model. Autophagy becomes more important in aging cells; therefore, alterations to Rhes in HD could explain striatal-specific degeneration, as well as the late-onset characteristics of HD. Transcriptional dysregulation is another known factor in the progression of HD. A recent report in Human Molecular Genetics from McFarland and colleagues describes the binding of Htt to the transcription factor MeCP2, using fluorescence lifetime imaging to measure Förster resonance energy transfer (FLIM-FRET).2 This report indicates that Htt binds to MeCP2, primarily in the nucleus. Binding of MeCP2 with Htt is enhanced in the presence of mHtt and may be involved in the change in BDNF levels that are characteristic of HD. Another major theme in HD pathology is energetic defects due to mitochondrial dysfunction. Gouarné and colleagues report on mitochondrial respiratory function in different neuronal populations in a rat model of HD in their recent paper published in PLOS ONE.3 The oxygen consumption rate and extracellular acidification rate were reduced in striatal neurons, but not in cortical neurons in the presence of physiological factors, indicating a specific defect in glycolysis in the striatal neurons. 1 Mealer RG, Murray AJ, Shahani N, et al. Rhes, a striatal-selective protein implicated in Huntington disease, binds Beclin-1 and activates autophagy. J Biol Chem. 2013 Dec 9;doi:10.1074/jbc.M113.536912jbc.M113.536912. 2 McFarland KN, Huizenga MN, Darnell SB, et al. MeCP2: a novel Huntingtin interactor. Hum Mol Genet. 2013 Oct 18;doi: 10.1093/hmg/ddt499. 3 Gouarné C, Tardif G, Tracz J, et al. Early deficits in glycolysis are specific to striatal neurons from a rat model of Huntington disease. PLOS ONE. 2013 Nov 26; 8(11): e81528. doi:10.1371/journal.pone. 0081528. Tetrabenazine (TBZ), a catecholaminedepleting agent first used for the treatment of schizophrenia, has great efficacy in hyperkinetic movement disorders. However, its mechanism of action remains incompletely understood. TBZ noncompetitively inhibits VMAT2, and Ugolev and colleagues recently uncovered additional mechanisms involved in the compound’s interaction with VMAT2.1 Using directed evolution and mutant isolation in yeast, the group found conserved glycine and proline residues that are required for TBZ binding, and found that the binding site for TBZ is distinct from the substrate binding site on VMAT2. TBZ can cause parkinsonian symptoms due to a decrease in dopamine D2 Receptor transmission. A report by Podurgiel and colleagues in Neuroscience looks at tremulous jaw movements in rats, which are mimetic of parkinsonian tremor. 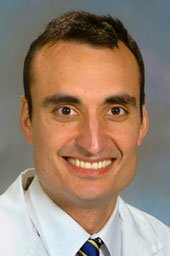 The report aims to determine whether A2a antagonists could attenuate tremulous jaw movements induced by TBZ.2 The researchers found that MS3-X or A2a knockout attenuates tremulous jaw movements; therefore, an A2a inhibitor could be used in concert with TBZ as an anti-parkinsonian drug. 1 Ugolev Y, Segal T, Yaffe D, et al. Identification of conformationally sensitive residues essential for inhibition of vesicular monoamine transport by the noncompetitive inhibitor tetrabenazine. J Biol Chem. 2013 Sep 23; 288:32160-32171. 2 Podurgiel SJ, Nunes EJ, Yohn SE, et al. The vesicular monoamine transporter (VMAT-2) inhibitor tetrabenazine induces tremulous jaw movements in rodents: implications for pharmacological models of parkinsonian tremor. Neurosci. 2013 Oct 10;(250): 507-519. 3 Shen V, Clarence-Smith K, Hunter C, Jankovic, J. Safety and efficacy of tetrabenazine and use of concomitant medications during long-term, open-label treatment of chorea associated with Huntington’s and other diseases. Tremor Other Hyperkinet Mov. 2013 Oct 22; 3. pii: tre-03-191-4337-1. Huntingtin (Htt) has important effects on the specific properties of nerve cells. Xu and colleagues designed an elegant mouse model that selectively expresses exon1 mutant Htt (mHtt) in synaptic terminals, achieved by tagging mHtt to SNAP25.1 Their results show that this model has age-dependent neurological symptoms of HD, and alterations in synaptic transmission. They also show that Htt can bind the polyproline-rich regions of synapsin-1. Alterations to this binding by mHtt may be responsible for pre-synaptic defects. A recent paper published by Parsons and colleagues finds a presynaptic role of wildtype Htt.2 In the YAC18 mouse model there is an increase in the amount of synaptic PSD95, and the size of the PSD95 clusters in medium spiny neurons cocultured with cortical neurons. This effect was observed in medium spiny neurons even when only the cortical neurons were over-expressing Htt, indicating a presynaptic effect leading to alterations in PSD95. This increase in PSD95 clustering occurs concomitant with an increase in palmitoylation of PSD95, and requires the actions of brain-derived neurotrophic factor. Consequently, the effects of Htt on synaptic architecture need to be further studied, because Htt knockdown is currently a promising pharmacological approach for treatment of HD. Finally, Wojtowicz and colleagues examine astrocytes, a currently understudied part of neuronal circuitry with respect to HD. They found that the release of nonsynaptic GABA from depolarized astrocytes, by the action of GAT-3, is strongly reduced in HD mice.3 This suggests that regulating GAT-3 may be a therapeutic target for HD symptoms. 1 Xu Q, Huang S, Song M, et al. Synaptic mutant huntingtin inhibits synapsin-1 phosphorylation and causes neurological symptoms. J Cell Biol. 2013 Sep 30;202(7):1123-1138. 2 Parsons MP, Kang R, Buren C, et al. Bidirectional control of postsynaptic density-95 (PSD-95) clustering by huntingtin. J Biol Chem. 2013 Dec 17; doi: 10.1074/jbc.M113.513945jbc.M113.513945. 3 Wojtowicz AM, Dvorzhak A, Semtner M, Grantyn R. Reduced tonic inhibition in striatal output neurons from Huntington mice due to loss of astrocytic GABA release through GAT-3. Front Neural Circuits. 2013 Nov 26; 7:188. doi: 10.3389/fncir.2013.00188. Prana Biotechnology released promising results from its phase 2 study of PBT2 in individuals with mild to moderate Huntington disease. In a randomized, double-blind, placebo-controlled study, 104 (95%) of 109 study participants completed the 26-week study on one of the three study arms – PBT2 250mg daily, PBT2 100mg daily, or placebo. Serious adverse events were more common in those on active drug (nine) than on placebo (one), but only one was deemed by site investigators to be related to study drug. In addition, on the principal secondary efficacy endpoints, Prana reported a statistically significant improvement on the Trail Making Test Part B, a test of executive function, in those randomized to PBT2 250mg. These results were similar to Prana’s earlier phase 2 study in Alzheimer disease in which those randomized to PBT2 250mg had statistically significant improvements on both the Trail Making Test Part B and the Category Fluency Test. In the Huntington disease study, the improvement in executive function, which is impaired early in the disease, was also accompanied by a small, favorable signal in a key measure of functional capacity. No significant improvements were seen on other secondary efficacy measures in the study. A small (n=6) pilot imaging sub-study suggested reduced brain atrophy in those exposed to PBT2. PBT2 is a metal-protein attenuating compound that may affect metal mediated oligomerization of huntingtin. In the R2/6 mouse model of Huntington disease, daily oral administration of PBT2 improved motor performance of the mice, increased body and brain weight, and increased the lifespan of the mice by 26%. The phase 2 study was the first assessment of the drug in individuals with Huntington disease. Dr. Diana Rosas, an Associate Professor of Neurology at Harvard Medical School and the study’s co-principal investigator, said, “I am very excited about (the study)… the drug is targeting a key pathological process that has been identified as significant in (HD) in both transgenic mouse models and in human disease, (and) in as little as six months, we were able to measure a potential clinical benefit and most importantly a potential slowing of progression… Finally, the addition of novel potential biomarkers, one of the first multi-center studies to do this, is also very exciting and provocative. In its press release on the study results, Prana indicated that it plans to advance PBT2 to a pivotal phase 3 clinical trial. randomised, placebo-controlled trial. Lancet Neurol 2008;7:779-86. 3 Cherny RA, Ayton S, Finkelstion DI et al. PBT2 reduces toxicity in a C. elegans model of polyQ aggregation and extends lifespan, reduces striatal atrophy and improves motor performance in the R6/2 mouse model of Huntington’s disease. J Hunt Dis 2012; 1:211-219. 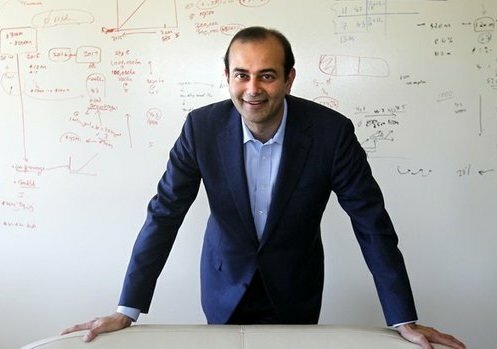 Pratik Shah, PhD, MBA, is the President, Chief Executive Officer, and Director of Auspex Pharmaceuticals. He came to Auspex in 2007 as an investor, and has since led the company as Chairman or Executive Chairman to shape its focus on Huntington disease and other orphan indications. “I first got involved in Auspex because I was intrigued by the possibility of improving drugs using a new technology (deuteration),” he said. “I was compelled by the opportunity to bring SD-809 to the market. It’s rare to get a chance to be involved all the way from the discovery of the drug to its ultimate commercialization. I consider this a blessing.” Dr. Shah recently shared with HD Insights Auspex’s current work, its recently completed Initial Public Offering (IPO) and his hope for the company’s future. Below is an edited transcript of his thoughts. HD INSIGHTS: What is the value of deuteration of pharmacological agents? SHAH: The side-effects, problematic drug-drug interactions, and patient to patient variability of certain drugs are driven by their short half-life, and removal from the body by liver enzymes. These issues can create challenges for patients and physicians. It’s really remarkable how a small change of hydrogen to its heavy isotope deuterium, when engineered into exactly the right molecule at exactly the right positions, doesn’t just change the drug – it has the potential to transform the drug. It does so by slowing down the elimination of the drug from the body, reducing fluctuations in blood levels. These transformations can be achieved without changing the drug’s binding to the target, and therefore its efficacy. If a drug is better tolerated or is needed fewer times per day, it can be used by more patients, and create a better experience for patients and families. HD INSIGHTS: Why deuteration of tetrabenazine? SHAH: While tetrabenazine is a very efficacious drug, it is a textbook case of a short half-life drug with resulting limitations. Our Chief Medical Officer was the head of development at Prestwick Pharmaceuticals, and led the effort to receive FDA approval of tetrabenazine. He recognizes that there is more work to be done for treating patients with chorea. Auspex has been working to use deuteration to solve these challenges, and while deuteration has been applied to other treatments by a number of companies in various stages of clinical development, we believe that Auspex’s SD-809 program is the most advanced so far. Possible benefits of deuteration of tetrabenazine include lower dose, less frequent administration, the potential for better tolerability & safety, reduced drug-drug interactions, reduced need for genotyping, reduced inter-patient variability, and reduced potential for QT prolongation. As a result, we hope to be able to take SD-809 into areas where tetrabenazine was never formally developed such as Tourette syndrome and tardive dyskinesia. In addition to a Phase 3 clinical trial with individuals with HD, we are embarking on a Phase 2/3 trial in tardive dyskinesia, and a Phase 1b preliminary safety & efficacy study in adolescents with tics associated with Tourette syndrome. 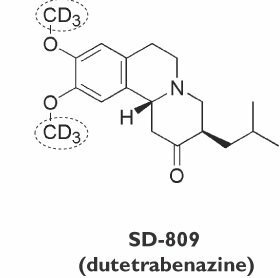 We have seen promising data with our human studies comparing SD-809 to tetrabenazine so far. These results have been encouraging, and we are hoping to further understand the impact of deuteration by conducting the First-HD and ARC-HD clinical trials. HD INSIGHTS: On February 5, 2014, Auspex completed an IPO listing on the NASDAQ Exchange. On the first day of trading, the company’s stock price opened at $15.00 and closed at $15.66 and raised $84 million for the company. 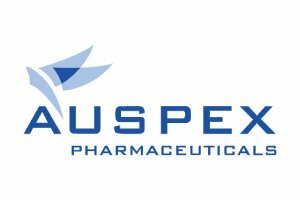 What does the IPO mean for Auspex? SHAH: This important milestone in the progress of our company further enables us to deliver on our mission to develop and commercialize new therapies for patients with HD, a variety of movement disorders and other orphan diseases. The IPO also makes more visible our long-term commitment to develop treatments for HD, and gives the company additional resources to support education and awareness initiatives.